August is really hot in Miami Beach but not near as smoking hot as our August VIP South Beach Magazine Promotional Model Of The Month winner Alyssa. Gorgeous Alyssa was raised in Boston and is of Lithuanian/Italian descent. She migrated down to Miami Beach to build her modeling career and enjoy the sunshine. 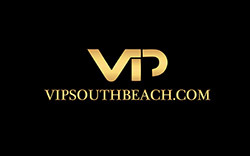 She indulges in the Miami nightlife and loves dancing the nights away at all the South South Beach hot spots. When she’s not on the runway you can find her at the race track. She has a competitive soul and a need for speed!